Rossinavi will present the 50m Flying Dagger at the 2018 Monaco Yacht Show. The full-custom project was completed and launched for sea trials in April 2018 and will be officially unveiled to the public for the first time at the show next week. Commissioned by a private client in 2016, the exterior design is by Enrico Gobbi of Team For Design and the interiors have been designed by Lazzarini Pickering Architetti. Flying Dagger has a top speed of 31 knots and a cruising speed of 24 knots, with a range of 3,300nm at 12 knots. Additionally, a shallow draft and water-jet propulsion system means that the yacht has versatile cruising capabilities. 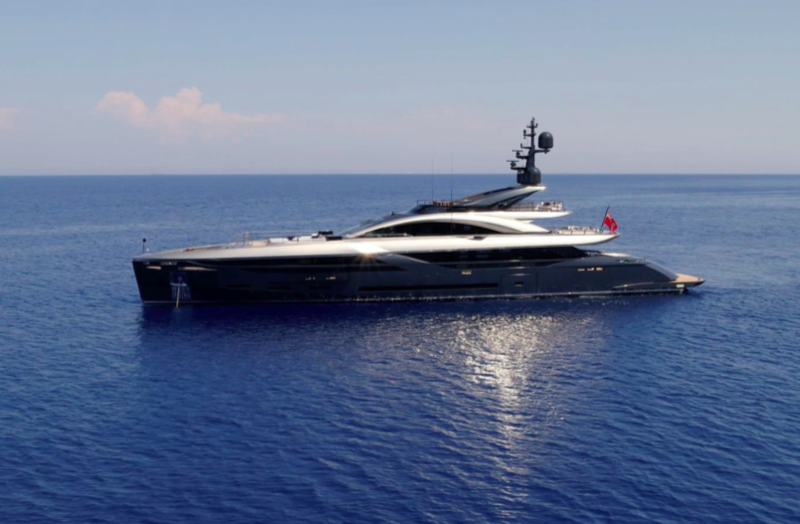 The project has incorporated the latest research and developments in noise and vibration reduction, claiming noise emissions comparable to a full-displacement yacht. The exterior design has also made use of wide windows and skylights, with natural light on the interior being a key focus. 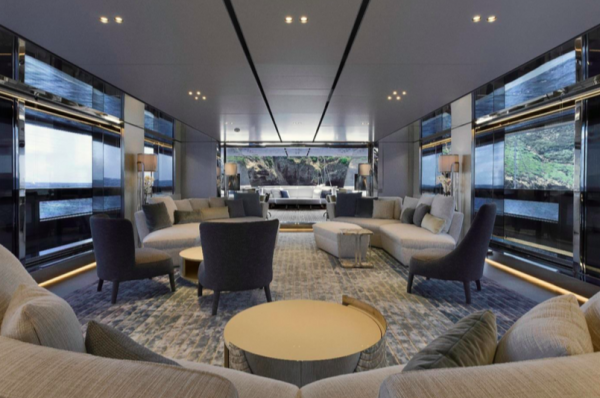 Lazzarini Pickering Architetti’s interior layout is minimal but features architectural details that maintain a strong connection with the outside marine environment. The main salon features three large glass floor-to-ceiling doors to allow an extensive view of the sea and enable the transformation of the space into an al fresco dining area. The master suite is also a particular large area of the boat featuring a structural terrace accessible through sliding glass doors. Four spacious external decks across three floors are dedicated to entertaining, dining and relaxing. 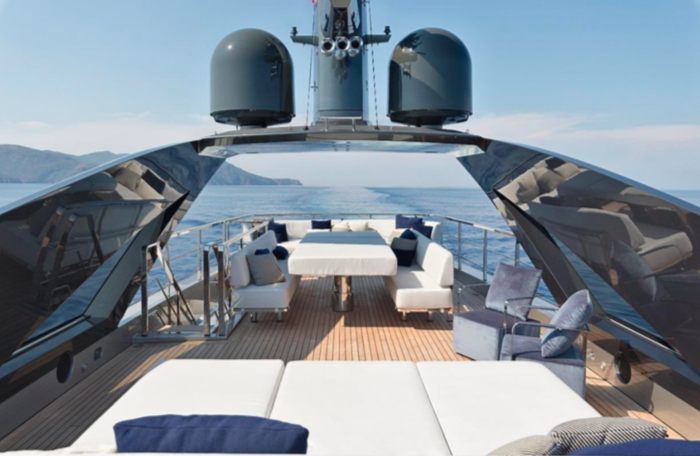 Along the main deck, a sprawling sundeck features a metallic and woven metal canopy that opens and closes to provide a sunny or shaded space.